The Bow River runs through Banff and on to Calgary. It is wide and deep and full and mighty and amazing. The Bow is in the picture. Also must give a shoutout to the Flathead River in Montana, which runs through Missoula. Wow. 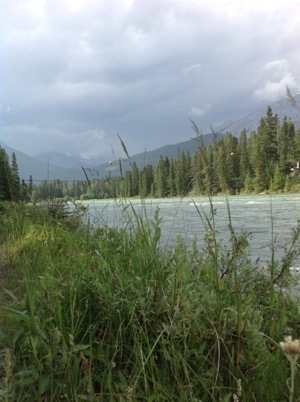 This entry was posted in travel and tagged banff, Canada, River. Bookmark the permalink.